I have never lived in a large house. Not even when I was growing up. My parents had a modest house of about 1400 square feet that worked just fine for 5 humans, two dogs, and a cat. Out of the three houses I have owned in my life, the largest was just under 1400 square feet of living space. My current dwelling is just at 1000. Over the last 30 years, the average size of a single family house in America has ballooned to a whopping 2300+ square feet on average. America, and Americans have been sold on the idea that bigger is better, that more space equals happiness. On the opposite end of the scale, in Hong Kong there are groups of people living in apartments the size of walk-in closets. No I’m not advocating doing that. Recently there has been a growing interest in the United States in smaller more efficient homes. Living in 1000 square feet or less is something that is actually fairly common in the rest of the world, where land is tight and properties are expensive. 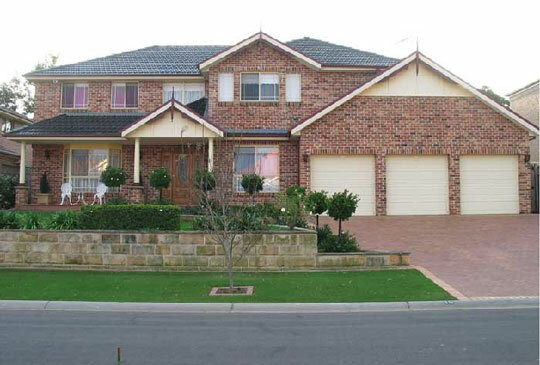 The images below show the vast disparity between property sizes through out the world, with the United States and Australia rounding out the top two, when it comes to McMansion sized homes. 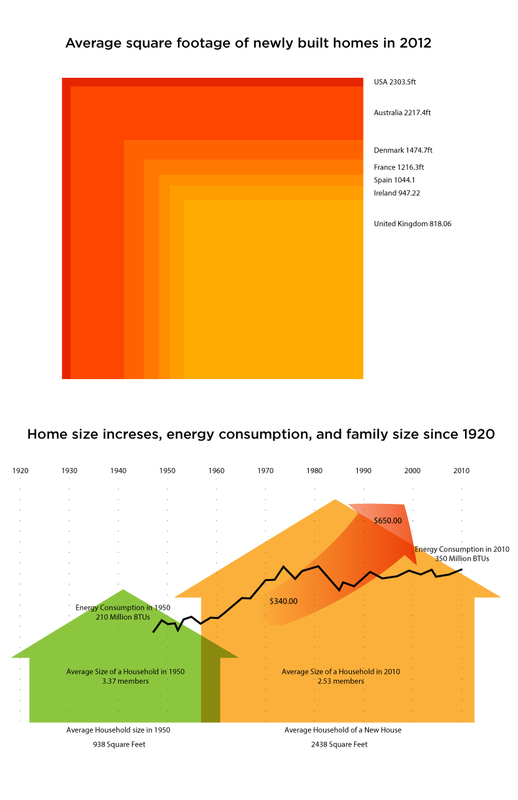 Posted in American Made, Information Graphics and tagged America, BTU, Energy Use, Home, House, House Size, Housing, Infographics on August 16, 2013 by Author. ← With Tuls, You’re Never a Tool.